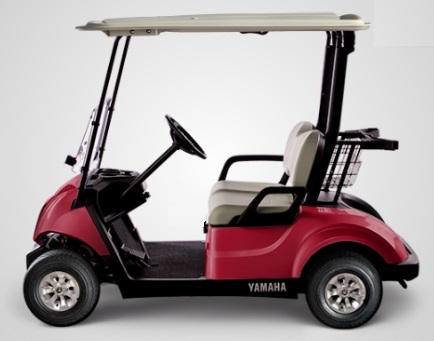 Yamaha Golf Carts Brisbane is committed to servicing your new and used Yamaha vehicles. We also service all other makes and models. We have three experienced golf cart technicians on the road each day to service and repair carts. We can come to your place or course so there is no need to worry about transporting your cart anywhere. Your personal golf cart is an important investment and you need to protect your investment and make sure it lasts. Whether your golf car is petrol or electric and whether it is new or used, maintaining your golf cart is not difficult and can be easily achieved with a regular maintenance schedule. Most golf cart manuals which come with new carts have detailed instructions for maintenance. If you have a petrol golf cart you will need to do ongoing maintenance (suggest 6 monthly) including changing spark plug and oil (15W-40), blow out/change air filter, check level of/change oil (and replace fuel filter for non EFI carts). We sell service kits if you require for all models. A regular golf cart maintenance schedule starts with a once a month check of the golf car parts to ensure they are in good working order. Maintain the batteries as detailed below. Check tyre pressure/make sure none flat. It is recommended that cart owners schedule a major check-up or service every six months. At this check, the golf cart’s brake system, suspension, engine and tyres are inspected, cleaned, lubed and repaired where necessary. The gear oil may need changing also (every 18 months on average). Carrying this out every six months will save time and money in the long run - we can provide this service in the greater Brisbane area, call 1300 921160. You need to establish a regular maintenance schedule for your golf cart batteries. This will prevent damage to your batteries and save you the embarrassment of losing power on the golf course. To prevent grass or dirt entering the battery cells, clean the battery before you check water levels in the cells. Wash off loose grass and dirt with a garden hose; use a wire brush on the terminals and baking soda and water to clean the battery and terminals thoroughly. The baking soda will neutralise any acid residue. Then check water levels in the cells and fill with distilled water if low. It is important to not over fill, keeping the level below the inner indicator rings of the battery. If the cells are filled too full as the battery is charging the water will heat, expand and possibly boil over. It is recommended that your golf cart batteries should be charged with each use and not allowed to fully discharge. This will give your golf cart battery long life. You can achieve 80% recharge in approximately 2 hours. The last 20% may take more than 6 hours. If you know you won’t be using your golf cart for a long period of time it is important to ensure correct storage. A few simple steps will prevent damage and deterioration to your valuable asset and have your golf cart ready for your next game. Make sure the storage area will protect your golf cart from the elements and vermin. Check the battery cell caps are tight. Use baking soda and water to clean the battery, including terminals, and the area around the battery eg inside walls of the body panels. A handy tool is a small paintbrush or toothbrush to get into the difficult to reach areas. Check all cable connections are tightly secured and make sure cables are not too close. Make sure water levels in the battery cells are at optimum level, using distilled water. Ensure the battery is fully charged. This is especially important if you live in a cold area because when a battery discharges the acid turns to water and is more likely to freeze. Do not over charge the battery and ensure the charger is disconnected from the golf cart battery and unplugged from the wall. This will safeguard your golf cart from the risk of power surge damage.